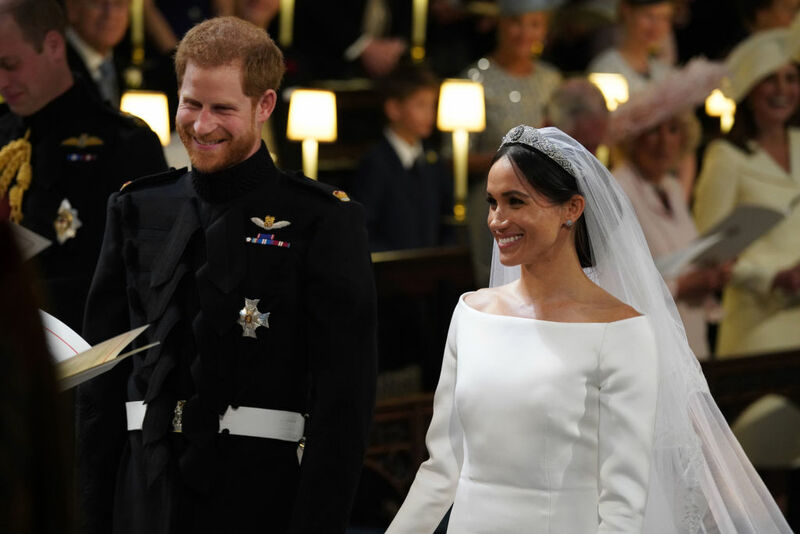 Prince Harry and Meghan Markle are officially married! Congratulations to the new Duke and Duchess of Sussex! 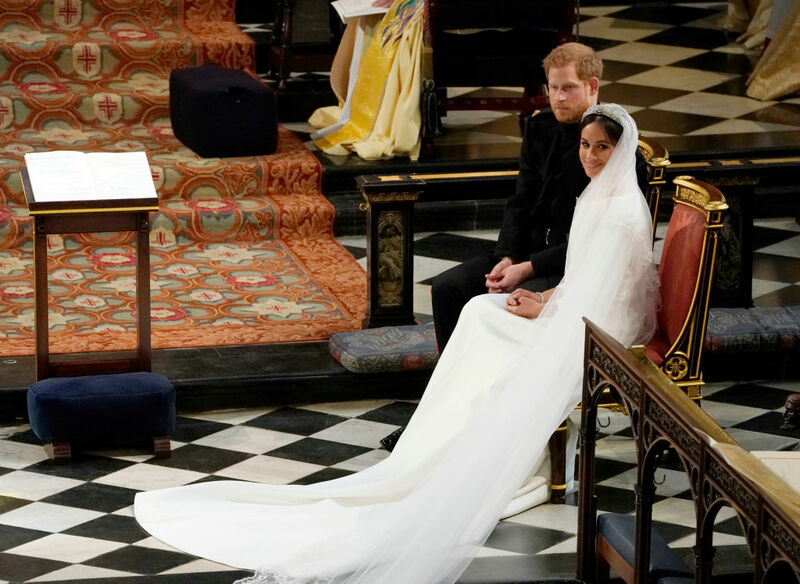 After months of intense media attention — and an unusually dramatic week leading up to the nuptials — Prince Harry and Meghan Markle are now officially married. 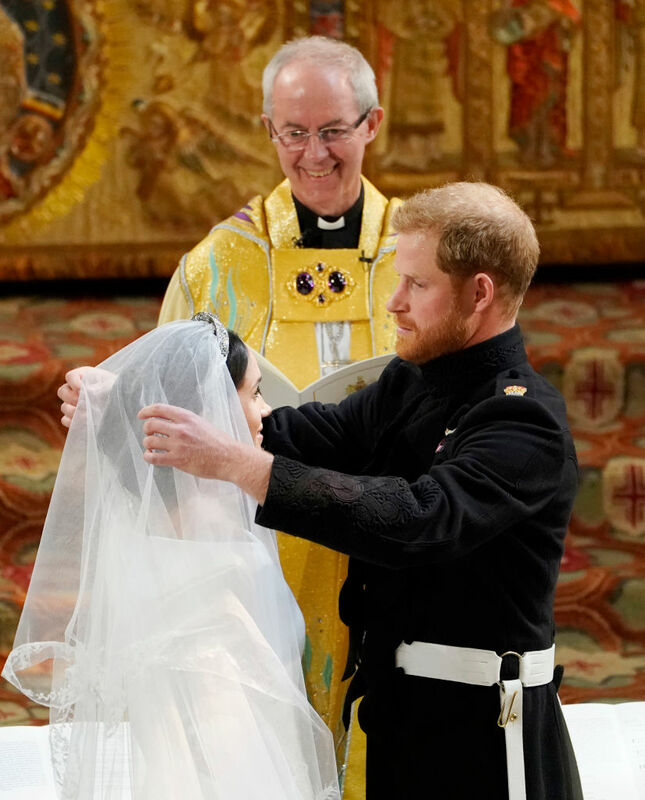 After the former Suits actress confirmed her father, Thomas Markle, wouldn’t be escorting her down the aisle earlier this week, Meghan was accompanied by her new father-in-law, Prince Charles, as she walked down the aisle at St George’s Chapel at Windsor Castle. Meghan looked absolutely radiant as she arrived at the chapel with her mother, Doria Ragland, wearing a Givenchy bridal gown designed by Clare Waight Keller. Prince Harry looked dapper in his military uniform with older brother, Prince William, standing beside him as best man. Meghan opted to not have a maid of honor, so the wedding party was rounded out by a number of adorable bridesmaids and page boys — including Princess Charlotte, Prince George, Prince William, Prince Harry’s godsons, and the children of the couple’s closest friends. While no heads of state were present for the nuptials — neither U.S. President Trump nor U.K. Prime Minister Theresa May were invited to the royal wedding — nearly 600 guests were on hand to watch Harry and Meghan get married alongside Queen Elizabeth, Prince Philip, Kate Middleton, and the rest of the Windsor family. The late Princess Diana’s family was also well represented at the wedding, as Diana’s three siblings and their families were in attendance, with Diana’s older sister, Lady Jane Fellowes, giving a reading at the ceremony. Among the lucky celebrities scoring invites to the wedding of the year were David and Victoria Beckham, Sir Elton John — the legendary singer was also a close friend to the late Princess Diana — and David Furnish, George and Amal Clooney, Cara Delevingne, James Blunt, and Ellie Goulding, Priyanka Chopra, and Serena Williams. A number of Markle’s Suits co-stars were also on hand to celebrate, including Sarah Rafferty, Gina Torres, Rick Hoffman, Gabriel Macht, Abigail Spencer, Markle’s on-screen husband Patrick J. Adams, and his wife Troian Bellisario. 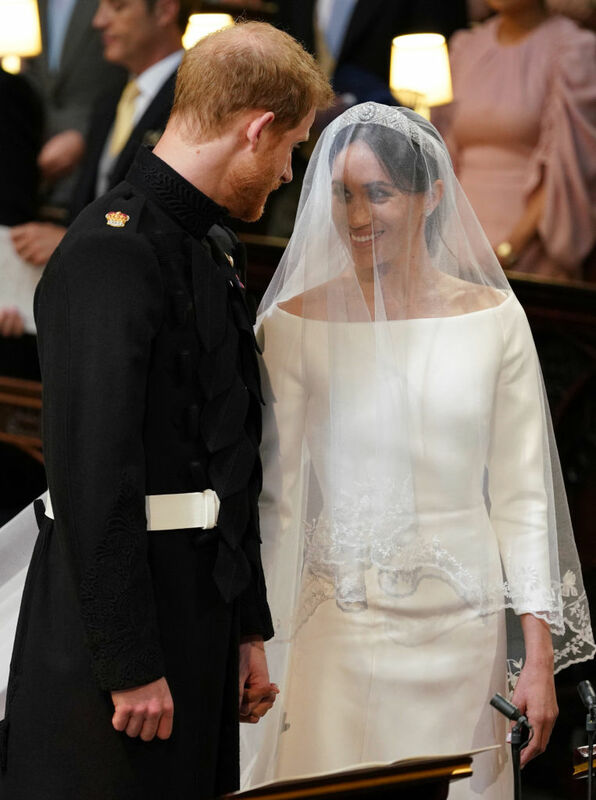 We’re so happy for Harry and Meghan, who couldn’t look more in love on their wedding day.